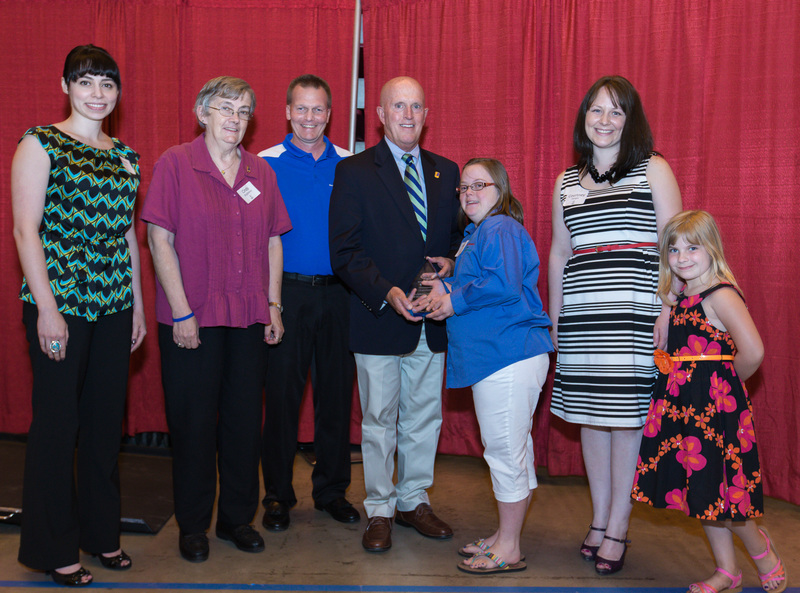 Goodwill Northern Illinois has been named 2013 Special Olympics Illinois Outstanding Organization of the Year. Sam Schmits, President of Goodwill Industries of Northern Illinois & Wisconsin Stateline, and Courtney Gieger, Mission Services Director, accepted the award at a reception held on June 14 before the Special Olympics Illinois Summer Games Opening Ceremonies at Illinois State University in Normal. For the past 29 years, the office of Special Olympics Illinois Northwestern/Area 1 has been housed with Goodwill Northern Illinois. The partnership between Goodwill Northern Illinois and Special Olympics Illinois has been crucial to the success of the organization. Goodwill has provided the facility, along with the reception, copy, phone and fax machines. Goodwill trucks have also assisted in delivering equipment for Rockford Polar Plunge and Spring Games, again at no charge. And over the past 8 years, Goodwill Northern Illinois has had the largest team for the Rockford Polar Plunge, raising between $5,000 and $10,000 each year. They also support the Holiday Auction fundraiser, purchasing a table each year. Goodwill employees can always be found helping out at various activities, including the Polar Plunge, Spring Games and Young Athletes events.